Hyundai Motors, India's biggest auto manufacturer, is going to enter the third time in the SUV market. The company has already performed in the Indian market by launching the Hyundai Terracan and Hyundai Tuscon, but as they now discounted in India. 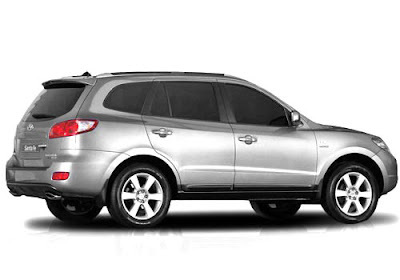 Hyundai Motors is all set to launch the new Hyundai Santa Fe in India on 14th October 2010. The new car would be available in diesel model with a 2.2 diesel engine. 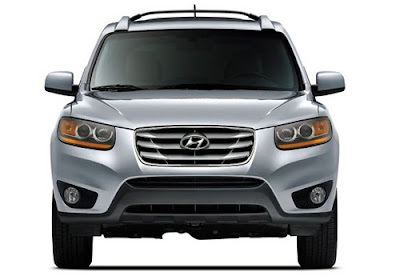 As per some news reports, the new Santa Fe to be imported as a Completely Built Unit (CBU). Hyundai Santa Fe is believed to be launched in two variants including 6Speed Manual Transmission and 6Speed Automatic Transmission. The powertrain of this new car is expected to be having CRDI diesel engine along with 2199cc and 2.2L machine. The latest technology CRDI (Common Rail Direct Injection) diesel engine to make engine excellent performer and great fuel efficiency. The new Hyundai Santa Fe is also to have 4 cylinder and 16 valves with DOHC (Double Over Head Camshafts) features for better torque and clear emission. The new 6Speed Automatic Transmission comes with 2.2L engine which will deliver maximum power output of 145Kwat at 3800rpm while produces top peak torque of 436Nm at 1800-2500rpm. While, the Manual Transmission 6Speed Gearbox version comes loaded with 2.2L engine, generate top power of 145kw at 3800rpm and a torque of 422Nm at 1800-2500 rpm. 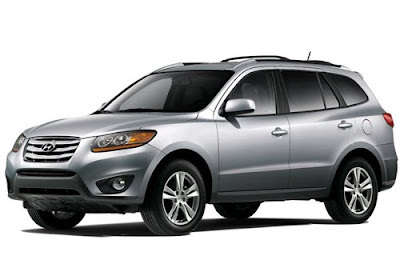 Hyundai Santa Fe might have comfort and safety features for the excellent driving experience. The safety features are Airbags, ABS (Anti lock Braking System), EBD, and brake assists, and more. For safety there are more features such as, three-point seatbelts and adjustable headstrains. Besides, comfort features like XM Nav Traffic, Blue tooth connectivity, iPod/USB auxiliary inputs for MP3 players and audio controls on steering in all models. The new Santa Fe will compete with Honda CR-V, Chevrolet Captiva, Nissan X Trail, Ford Endeavour, Mitsubishi Outlander. Hyundai Santa Fe is believed to be designed again with great looks both in its exteriors and interiors offering comfort and style. Apart from that launch, Indian car lovers will get new cars in India that includes Skoda Yeti, Maruti Kizashi, Toyota Etios and more. I think the super SUV Santa Fe have already entered into Indian market. Its advantageous features with awesome look must attract Indians to buy this super SUV. Another positive thing is that is price is just 21 Lakh which may be affordable for Indians. I like mostly its black model.